The seized products include 31 choice cars, 8,400 foreign parboiled rice, 1,652 cartons of frozen poultry products, 835 jerrycans of vegetable oil, 10 sack bags of Indian hemp, 2,208 pieces of used tyres among other items. 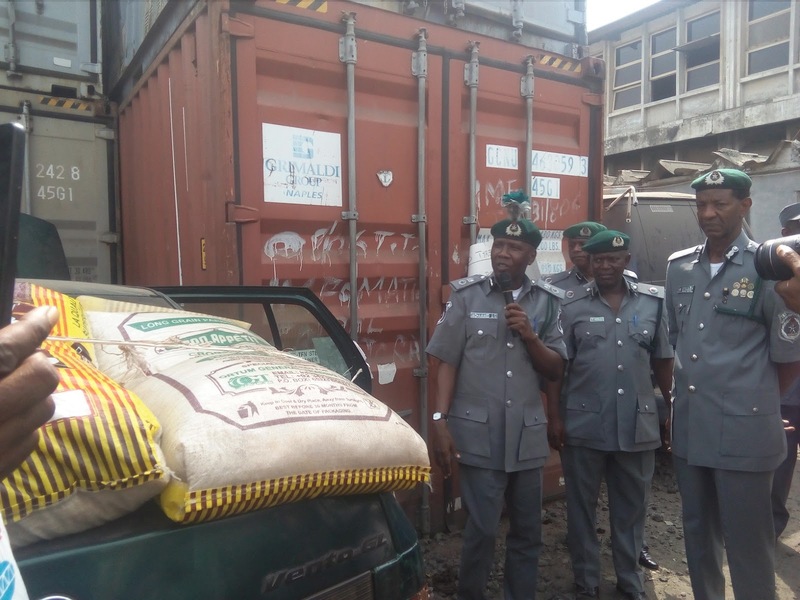 Conducting newsmen round the displayed seized items, the Customs Area Controller, Mr. Mohammed, said the Command expanded its operational modalities to tackle smuggling tirelessly. The CAC also disclosed that during the period in review, the command was able to recover over N91 million in duty paid. Condemning the act of smuggling, the CAC used the opportunity to warn prospective smugglers to steer clear as the Unit would always give them a battle for their act. He said: “Let me seize this opportunity to warn all would-be smugglers to desist from any act of illegal trade and invest their money in a legitimate business that will yield dividend on their investments. He urged owners of the seized vehicles including 4 Rolls Royce, 1 Porche Panamera, 1 Jaguar, 1 Bentley, 2 Lexus Jeep, 2 G wagon, 1 Toyota Land Cruiser, 5 Toyota Corolla, 7 Mercedes Benz, which mostly 2017 models with cumulative duty paid value of over N1. 4 billion to come forward with evidence of customs clearance documents or risk forfeiture of their vehicles. 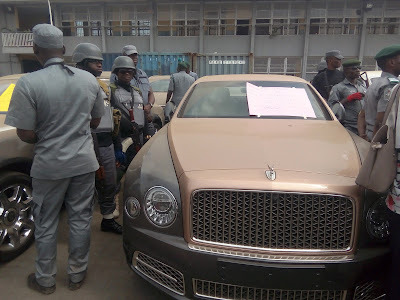 He said: “ For the avoidance of doubt, our action is in line with the provisions of Sections 147 of customs and Excise Management Act(CEMA) Cap 45, Laws of the Federation of Nigeria 2004( power to search premises), Section 158 of CEMA, Cap 45 Laws of Federation of Nigeria(Power to patrol freely)." Uba also condemned the act of concealment and false declaration as dangers against sustainable trade, adding that false declaration makes it impossible for government to have appropriate data of kinds of goods imported for purposes of trade analysis.